I love shooting with water, and if you are a regular reader of this blog, you’ll know that I’m not alone in that. Of course I am talking about Shelly, who has fantastic insights into using water in photographs and has some very helpful tips in her ‘basics’ post on the topic. I’m more of an accidental water photographer. I tend to just use it as I find it and hope for the best! I thought I would share some of the water photos I took in London, and some of the locations we used during the weekend! It’s amazing what you can come up with in a city! This location was not planned. It was in fact, completely unexpected. As a group we first decided that we didn’t want to go down to the beach, and then that actually, we did. So we did, and we spent quite a lot of time there. 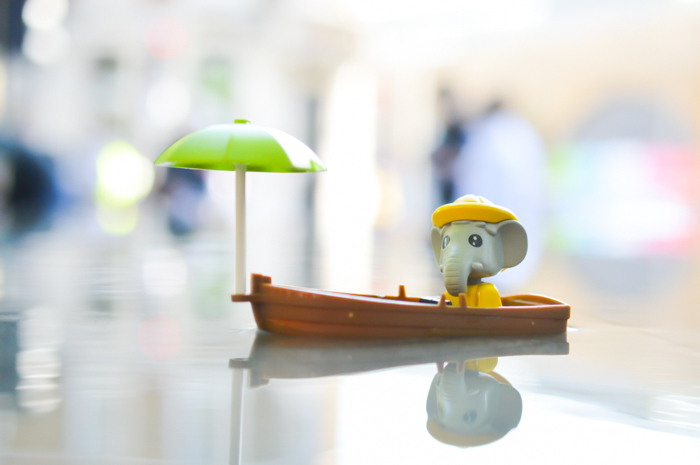 I was more interested in drinking the coffee I had just purchased, but did manage to get one pretty cute photo of Bert, my Fabuland elephant! I wouldn’t say this was the cleanest water we played in over the weekend either, but it was nowhere near as bad as I would have expected from the Thames. This location @nutelasabe and I had stumbled across during a previous walk around London to scout a few locations. It’s just the front of an office/hotel block but has these amazing plinths of water. At first glance, they don’t even look like they are water, but getting closer, you can soon tell! We also managed to hit this spot at the perfect time to get the light reflecting of the water, giving me my favourite soft photo quality. 15 minutes later and the light was gone so we got really lucky. Ed and Sam are keen to explore all areas of London, including the wet ones. Bert takes a brief respite from fishing to sail in the city of London for a bit. 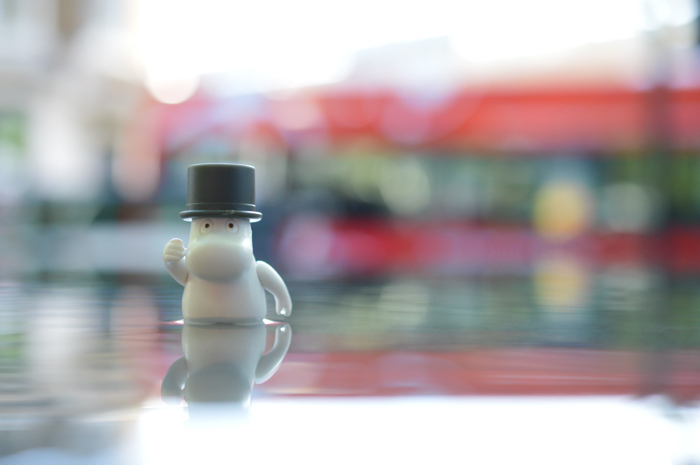 Papa Moomin wades through some unexpected water in London! The V&A is a fabulous museum, and one that I highly recommend spending a few hours at (even for non-toy photography purposes!). In the courtyard there they have a small pool. 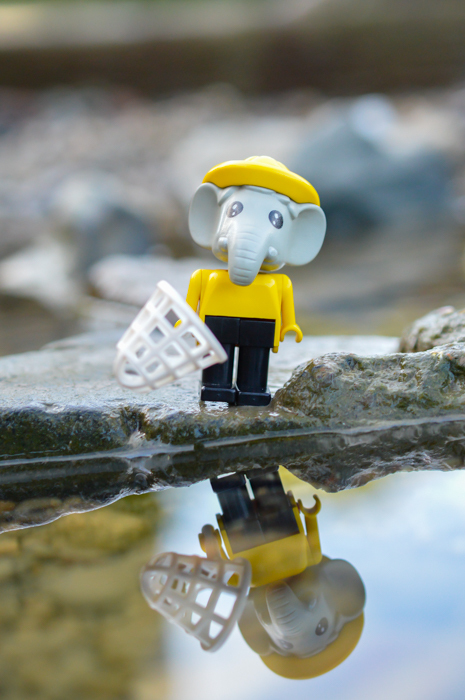 It’s generally used by children for paddling, but also great for any Toy Photographers looking for some water shots! It’s best to get there early in the morning, especially when the weather is nice as it’s soon got lots of children in it! A little fishing. 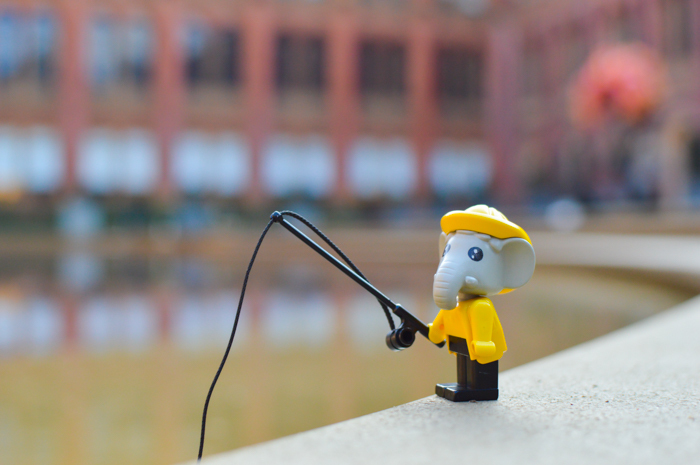 Not sure how many fish Bert is going to catch at the V&A! 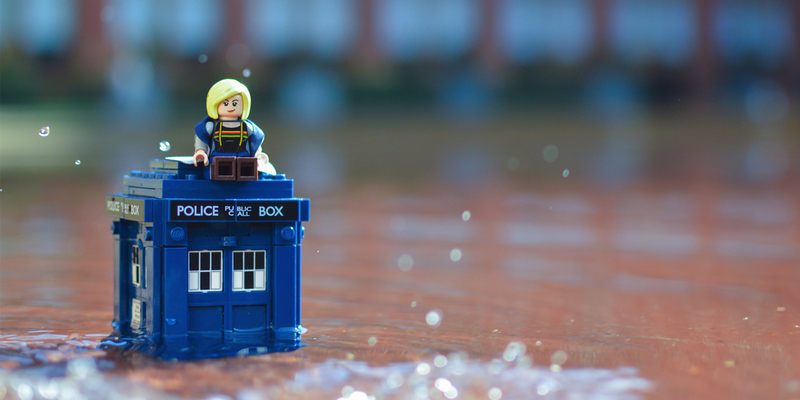 The Doctor needs to deal with a small swimming pool leak and she will be with you. 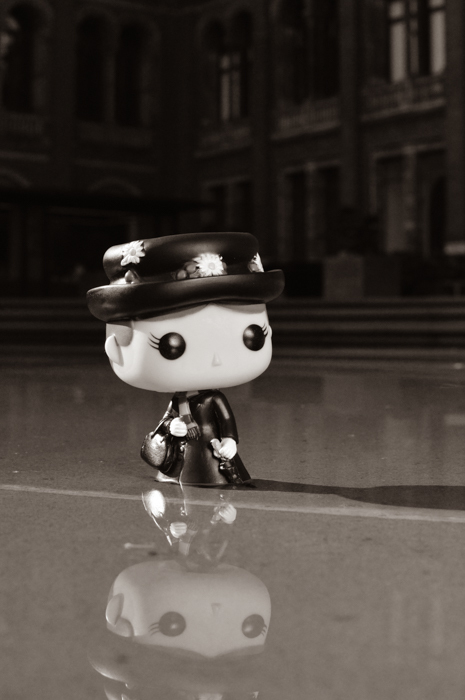 A day at the museum with Mary Poppins. 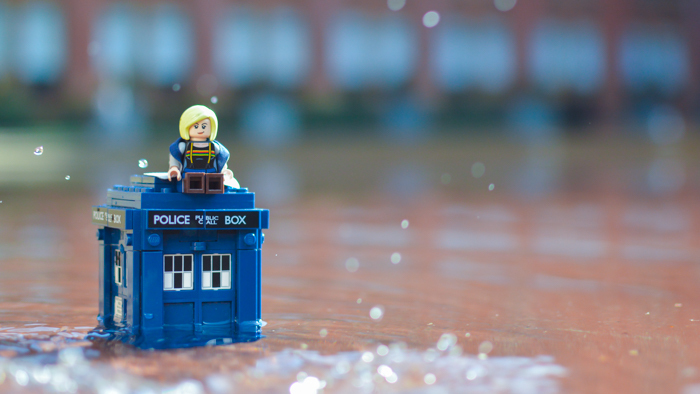 Even if she did stand in the big puddle by mistake. 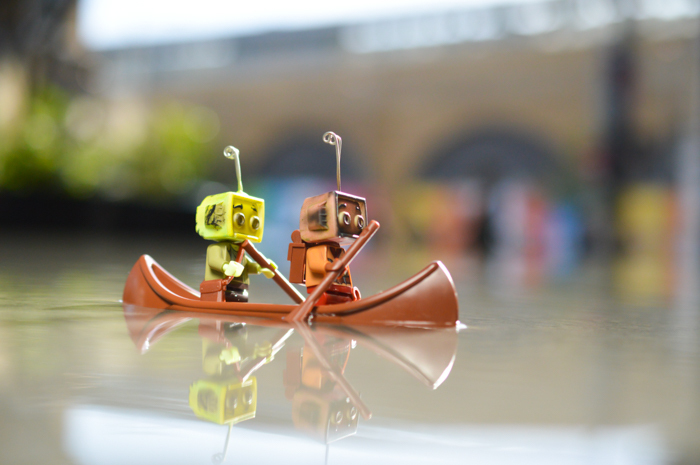 What are your favourite water-based locations to shoot in? Are any of them ones you discovered by accident or did you seek them out? Let me know in the comments! I, too, adore water shots and this post is rich with delightful ones. So great to see Lizzi. Love your collection here and the location details. Thanks Doug! Water is just the best! These images are so great, Lizzi! Unexpected locations can be such a blessing and have lead to some of my favorite photos. I’ll definitely have to check these places out if I ever make it across the pond.